Runner’s high is typically attributed to a sudden rush of another type of hormone, endorphins, which are believed to dampen pain signals and produce a sense of euphoria in the runner. That could explain why so many people voluntarily run grueling marathons year after year. However, it seems endorphins might not act alone—at least in mice. As described in a new paper in Cell Metabolism, a team of Canadian researchers discovered that mice that had been genetically modified to produce lower levels of leptin—which prior studies have linked to appetite and obesity—chose to run on exercise wheels more often and for much longer than mice who produced normal levels of the hormone. They concluded that the more active rodents experienced a mousy version of runner’s high, motivating them to keep right on running. So how did the researchers test whether that boost led to increased motivation to exercise long-term? They placed their exercise-loving mice in a box with a divider separating two chambers. One chamber had a running wheel in it; the other did not. Then they let the little critters run their hearts out for several days. And when they finally removed the wheel, they noted the mice continued to show a marked preference for that chamber, even though it no longer held a running wheel. The mice still associated it with exercise and reward. It’s an interesting study, but it doesn’t make leptin a magic bullet for getting diehard couch potatoes off their butts and into the gym, or onto the track. The human body is a highly complex system: for instance, co-author Stephanie Fulton, a neurobiologist at the University of Montreal, speculates that leptin works in concert with endorphins to trigger runner’s high. Plus there are plenty of other factors, both genetic and environmental, that influence our diet and exercise habits, or risk for obesity and related health issues. So we won’t be popping a handy leptin-blocking pill any time soon as the solution to all our diet and exercise needs. It’s just one more clue to add into the mix as scientists try to make sense of it all. Ahima, Rexford. (2008) “Revisiting leptin’s role in obesity and weight loss,” Journal of Clinical Investigation 118(7): 2380-2383. Boecker, H. et al. (2008) “The runner’s high: Opioidergic mechanisms in the human brain,” Cerebral Cortex 18(11): 2523-2531. Fernanda, M.A. et al. (2015) “Leptin suppresses the rewarding effects of running via STAT3 signaling in dopamine neurons,” Cell Metabolism 22(4): 741-749. Raichlen, D.A. et al. (2012) “Wired to run: Exercise-induced endocannabinoid signaling in humans and cursorial mammals with implications for the ‘runner’s high,’” Journal of Experimental Biology 215(8): 1331-1336. 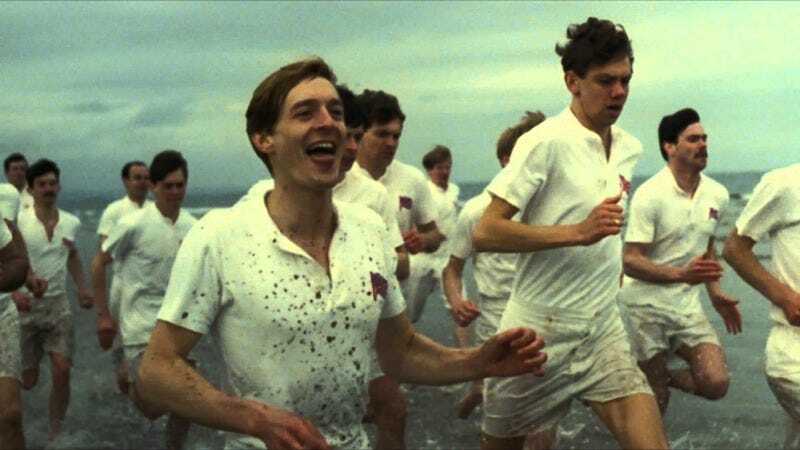 Images: (top) Still from Chariots of Fire (1981). (bottom) Fernanda et al./Cell Metabolism.